So, we made it to Hawaii! But not without some drama on the way here. 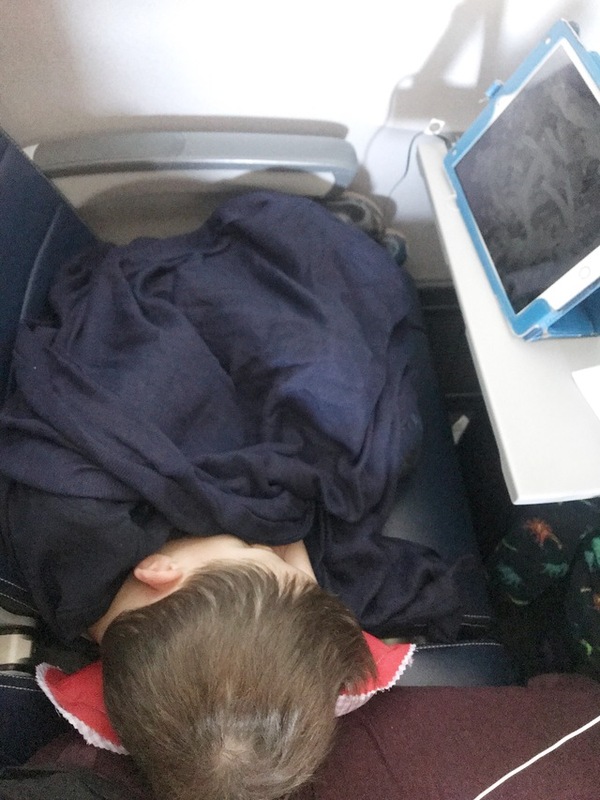 You see, for weeks leading up to our 11.5 hour flight, I had one fear: Could my son handle it? Would he get bored after an hour and then bug me for the next ten? Would he scream, kick the seat in front of him, and then bolt into the first-class cabin? Well, as it turns out, this did not happen. He was fine at the airport, as we boarded the plane, and for the first hour or so of the flight. He sat quietly and watched his first movie (one of approximately two billion that I had preloaded onto the iPad), but when it ended, he seemed different. He didn't want to watch a second movie, and instead, he laid down in the seat with his head on my lap--and promptly fell asleep. This was weird. At this point, it was about 10am, so he shouldn't have been tired. He's also not a sleeps-on-the-plane type of kid. But there he was, completely zoned out. I was intially thrilled! I stroked his hair and enjoyed Three Billboards Outside Ebbing Missouri. About an hour later, he woke up, extremely groggy and out of it, and hot. I didn't have a thermometer with me--it was packed in a checked suitcase (mistake #1)--but moms know. (Am I right?) He had a fever. After mumbling incoherently for a few minutes, he fell back asleep! An hour later, my son seemed to take a turn and his breathing was very quick and shallow. I freaked out, and went to a second flight attendant (who was lovely and helpful as well). She actually did one of those "Is there a medical professional on the plane" announcements. This was getting dramatic! We hit an urgent care near-ish to the hotel the next morning to get checked out (negative for strep and flu--phew), but he's doing much better. It's morphed into a rotten cold (which I will now probably have for the flight home), but he's okay. Moral of the story: Do not pack your just-in-case OTC medications in your carry-on bag. If you lug them on, your kid will be fine. But if you don't, you'll surely be screwed, as we were. Also, this has to be said: United has gotten some (deservedly) bad press recently, but they couldn't have been more amazing in our situation. I dealt with three or four different flight attendants and they were all extremely helpful and attentive. (I kept expecting an eyeroll or a brush off, but it never came.) They even went above and beyond, bringing him ice packs, applesauce and other snacks, and lots of water. They were great. So...have your kids ever gotten sick on the plane? If you have any tips, please share them! Ugh - that really stinks to go through that! I always get drowsy on flights, no matter what time of day. I read it's because of the pressure, the warmth, and the sound. I usually point a fan on me even if I'm more chilly than comfortable, just because I tend to overheat. I don't bring children's medicines on flights, but we don't fly often and flights are only a few hours. Oh NO! I'm glad there were people on the plane that were able to help! 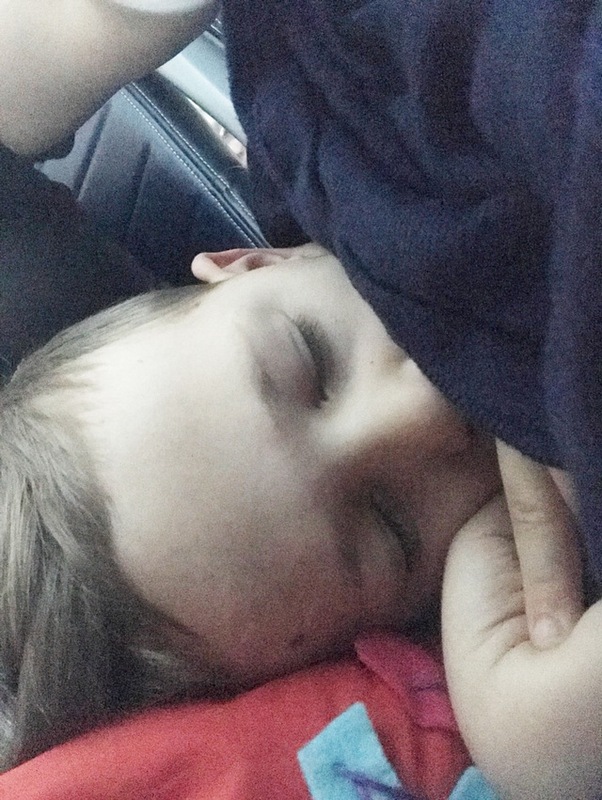 My kids have never gotten sick on a plane, but they both got sick when we were visiting my in laws and we had to drive back with them both still under the weather. The fevers had broken, at least, so we took lots of little breaks to check the temperatures, give medicine if needed and take care of other symptoms. They both slept for most of the ride and through the night. Oh i am so sorry, this sounds terrible! I am glad all is ok and you got such good help. So glad you all survived that scary situation. And what a good reminder to bring the meds for the plane ride. I always travel with a thermometer and kids tylenol but I always put it in my checked bag bc I don't want it confiscated!